This is a premium, solid oak and veneered oak bedroom range that has been designed to be a real feature in any bedroom design. It oozes quality craftsmanship and solid construction, neat distressed metal handles. 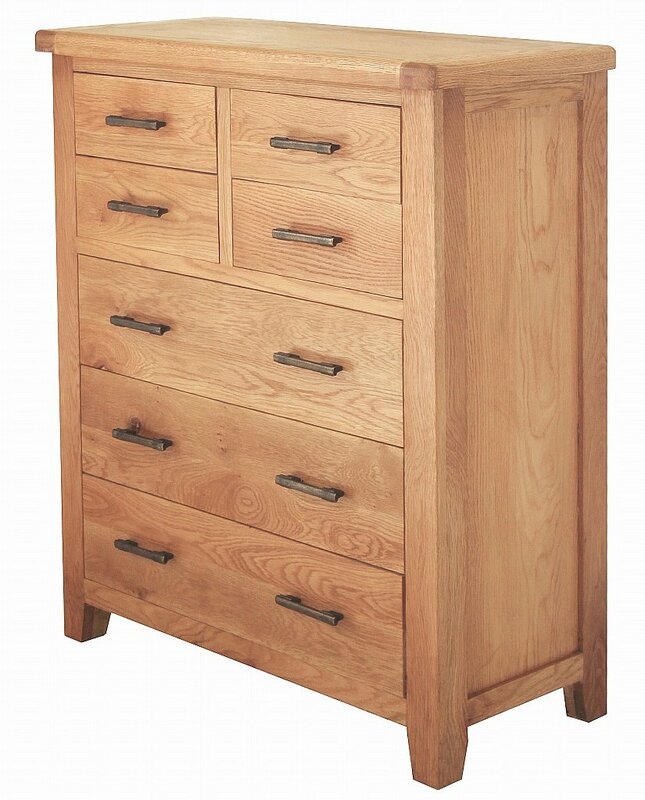 I would like more information about La Rochelle Tall Chest by Sturtons.